14 nights, shared accommodation, travel Kolkata to retreats, all meals and the opportunity to attend daily sessions. Early Bird price: 10% discount if paid in full by 1st June, 2019. *All guided options includes: 1 night in Kolkata Hotel, Return travel to Kolkata, All Accommodation, Transport and Food within the group plan, and course support materials during the retreats. Does not include international airfares, insurance etc. 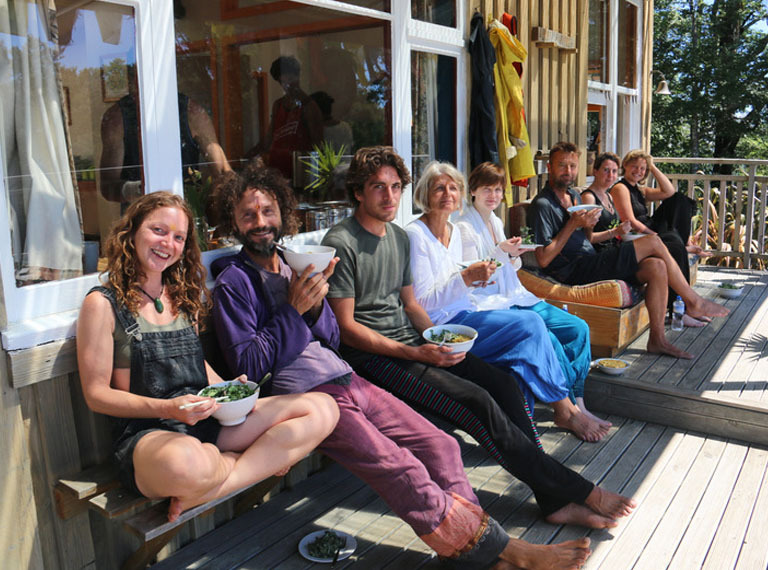 This is an enriching and transformational retreat that will give you an opportunity to find greater depth and understanding in your practice, irrespective of your level of experience. You will be led by Swami Karma Karuna and Anahata representatives on this spiritual immersion that will start in Kolkata and move onto Rikhiapeeth Ashram. Travelling to India with Anahata you have the opportunity to experience the true essence of Yoga in an environment rich in culture and diversity, taking your practice to a much deeper level with the guided support of a highly experienced teacher. The advantage of travelling with us is all your hotel accommodation and travel arrangements in India are taken care of, giving you the space to allow your journey to unfold. This year, there are three retreat stay options which means depending on your time commitments. you are able to join us from minimum of 10 or up to 20 days. Outside of these retreat stays, there is also the opportunity to participate fully in ashram life through Seva stay during the Yajnas. Includes: Prana Vidya Retreat and Diwali celebration. Your journey begins in Kolkata, where you will be greeted by an Anahata representative. After a day of resting, we travel together to Rikhia in time for Diwali the Festival of Light, (27 October). Diwali is an opportunity to connect with the inner luminosity and experience the joy of India aglow with thousands of flickering lights. 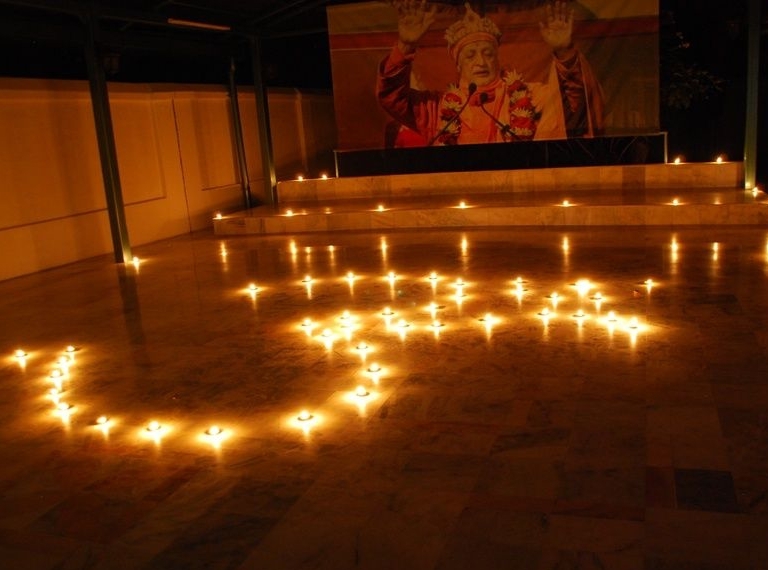 Here you will participate in the festival alongside guests and ashram residents. 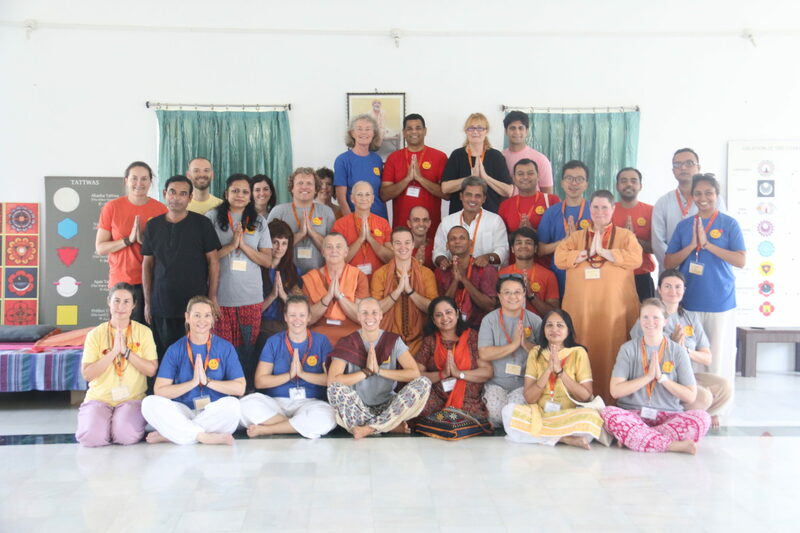 Prior to the start of the Prana Vidya retreat, you will have the chance to integrate into the daily ashram activities which includes Karma Yoga and may include kirtan, chanting or other programs alongside the ashram residents. Take your practice and understanding of the Pranic body deeper by participating in the Prana Vidya Retreat (1-7th November). 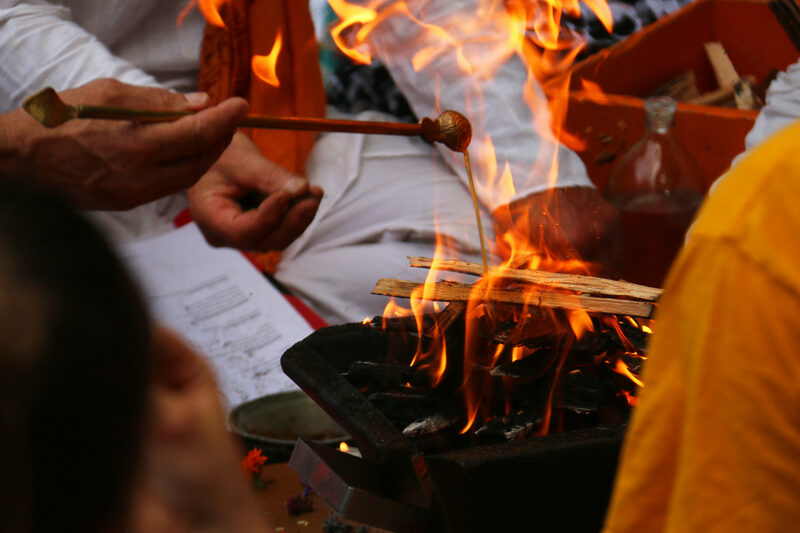 Prana (energy) Vidya (knowledge) is an ancient and powerful meditation that deals with the system of prana for healing and spiritual awakening. Knowledge of Prana is knowledge of the universe. Everything moves because of Prana, it is source, means and destination. 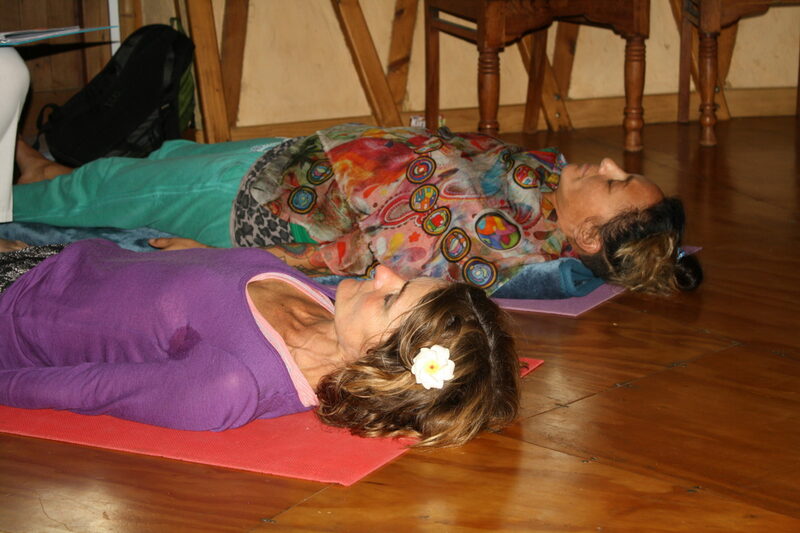 During this 7-day course you will be introduced to the pranic system through daily asana, pranayama, mudra, bandha and Prana Vidya meditation sessions, including practical techniques for awakening the fields of energy present in the human structure. 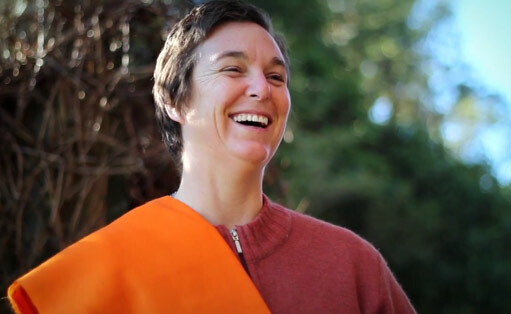 Throughout your daily theory sessions, you will deepen your knowledge of this vital life force, discovering how the aspects of prana within the physical body and through regular sadhana can help you to develop the sensitivity required to feel and experience the nature of prana as a living flow of energy within one self. And how it can be directed to improve health and vitality. Please enquire if interested to stay on for seva or the yajnas. If these dates are not suitable for your schedule, we are also running an earlier retreat to India and the Rikhiapeeth ashram. The retreat is titled Evolving through the Chakras and Tools of Tantra Retreat, which starts on Wednesday 18th September – 28th October.